Only a few days before Christmas and I have everything set and ready. All the gifts are wrapped and food has been purchased. Now it is time for some winter bliss. A drive from Green Bay to Kewaunee, Wisconsin and maybe even to Algoma is what I have in store. I used Google Earth the other night to zoom in on a few locations. Kewaunee was one of the towns I wanted to check a little closer. I was looking for public water access routes. One can never have too many places to venture. I was interested in doing a storytelling series of prints for Kewaunee and below is what I came up with. 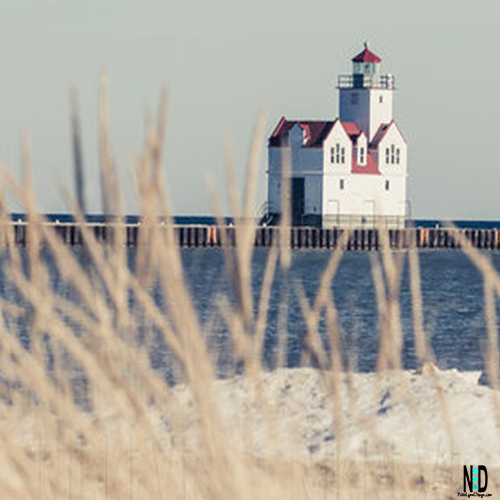 The Kewaunee Pierhead lighthouse and native grass pictured in the winter. A fresh coat of paint over the summer and she is brighter than the snow covered beach. Why a picture of a weed in snow? 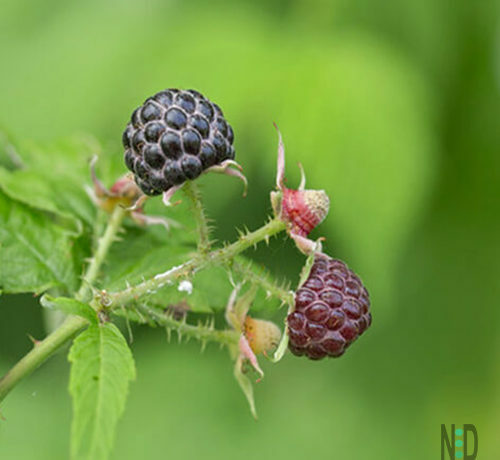 Cause, I just had to make you ask, and wonder 🙂 Nah, something as small and ordinary as a clump of grass or weed here, and there – it’s all important. Grasses, native sedge and rush species play a small, but very important role in the various habitats of the Lakeshore. 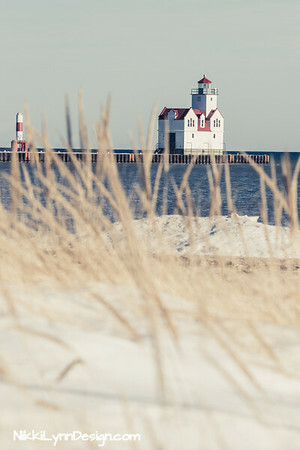 American beachgrass is an important stabilizing factor along the Lake Michigan beaches and foredunes. 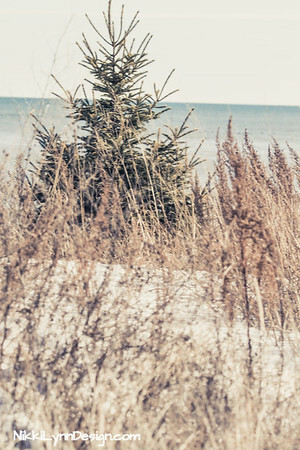 Even during the winter the grass and evergreen trees along Lake Michigan provide desired rest to birds from the howling winds. You can even see a little of that wind captured among the grass. Even on the coldest of winter days, you can still meet someone out and about. At least the sun is shining and waves are churning on Lake Michigan. The Tug Ludington that once participated in the D-Day invasion of Normandy sits quietly along the dock. The Tug Ludington (formerly Major Wilbur Fr. Browder) is a World War II-era tugboat built in 1943 at Jacobson Shipyard in Oyster Bay, New York. In the D-Day invasion of Normandy, it towed ammunition barges across the English Channel. It now calls in Harbor Park in Downtown, Kewaunee home. 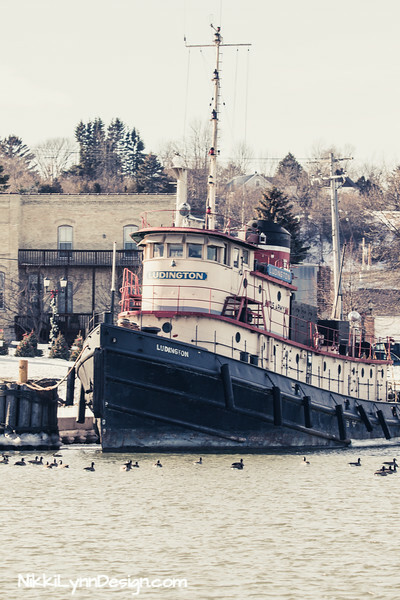 The Racine tugboat was built in 1931 by Marine Iron & Shipbuilding for the U.S. Army Corps of Engineers. 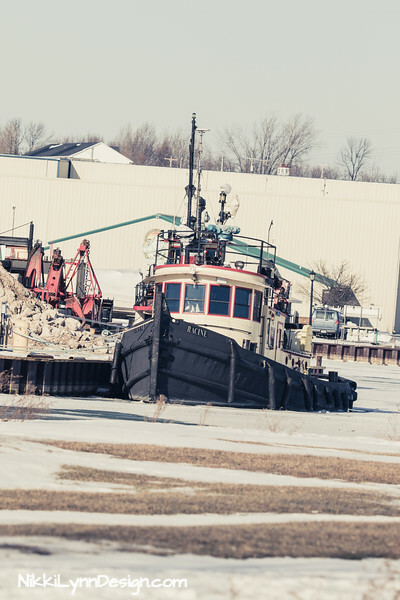 The Racine is based in Kewaunee, WI, and performs various jobs around Lake Michigan with her fleetmate Kenosha. 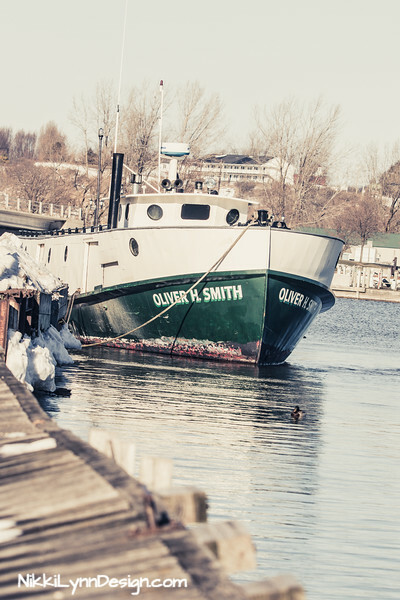 The Oliver Smith fishing boat docked along the pier in Kewaunee Wisconsin. I captured a new to me duck. Whooo hooo! 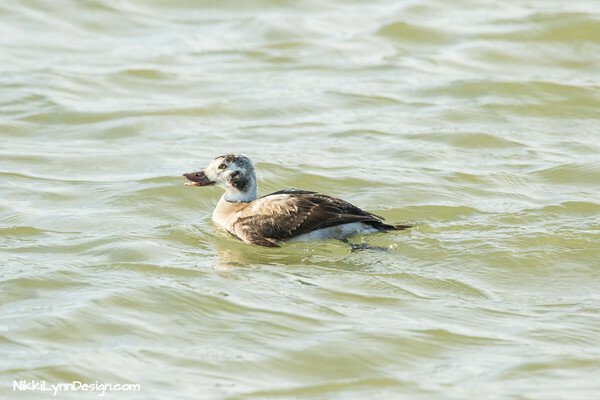 I believe this is the female long-tailed duck. 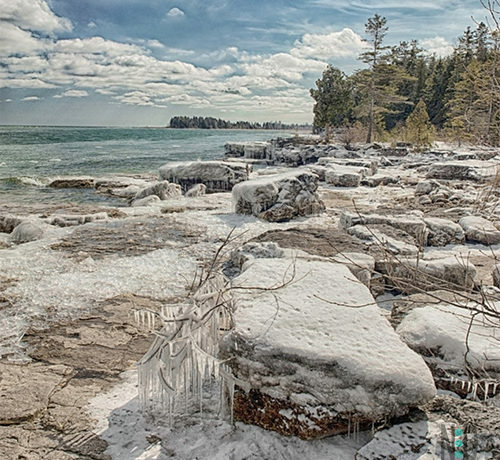 I was checking along the lakeshore for snowy owls. Nothing here. Although, the lens captured a new duck to add to my collection. I’m running a few months behind processing images and posting. All because of a duck, that I just HAD to see on the big screen – well, let’s say that sleep is overrated and you are getting to view photos from the same day! Which happens rarely on the blog.